Ananda Tze is the Health and Body Care Product Coordinator for Blush Lane. Through conversations with local producers and customers, she makes sure the shelves are full of the best local and organic products that customers want and use. 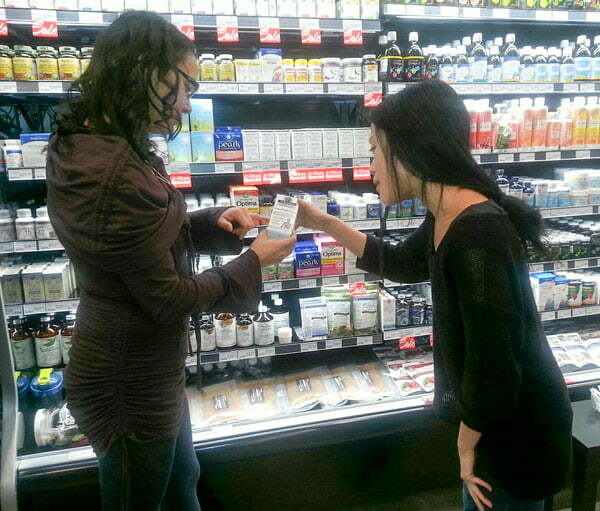 For more information about any health and body products, visit our Calgary and Edmonton stores to talk with our knowledgeable staff. Cold and flu season is here, but a few simple products can keep your natural defenses strong. Here are some of Ananda’s recommendations to help out your immune system. “Your immunity begins with your daily products,” says Ananda. An apple-a-day-keeps-the-doctor-away really is true. A regime of healthy and organic foods is the first step to keeping your body strong. With fresh organic produce and natural foods, Blush Lane is a one-stop shop for healthy eating. Ananda points to three important components for an immune-boosting diet: probiotics, multivitamins and protein. Probiotics help in metabolizing nutrients and assist your gut bugs to fight off infections, multivitamins prevent deficiencies and proteins increase the number of amino acids that strengthen cells and build your cellular integrity. There are many options for probiotics, multivitamins and protein supplements, but Ananda explains that it all comes down to personal preferences. “Diffusers are one of the best things to keep the living breathing space free of a bug or virus,” says Ananda. If you’re not sure where to start, visit a Blush Lane store. The health and body departments have trained staff that can help you find a product that fits your needs. Not only are the staff trained in the products Blush Lane carries, but many are certified natural product specialists and nutritionists. previous post: Blush Lane Bridgeland is open!